Fans of HBO’s hit Silicon Valley know of the New Internet as an idea that the Pied Piper team was developing as a way to take control away from centralized servers and put the power back in the hands of consumers and developers looking to create new value. What’s cool is that the “New Internet” is not a fictional idea, but a new reality being created by companies like Blockstack, a firm that consulted to the writers of the show. 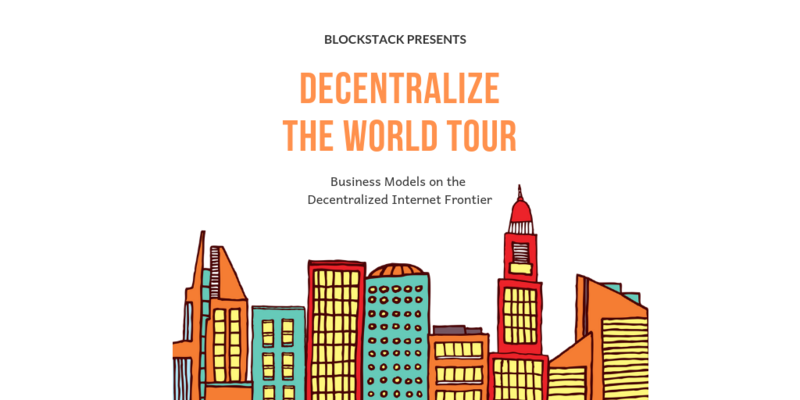 This Tuesday, October 16 at 6pm, Blockstack Head of Growth Patrick Stanley will speak on the benefits and business models enabled via decentralized apps, also known as DApps. The title of the talk is: Business Models on the Decentralized #Internet Frontier. Please register here for what we expect to be an important discussion on blockchain, security, and the business opportunity in DApps. There is ample parking on the street and behind the building. WHIPgroup will provide drinks and light snacks.